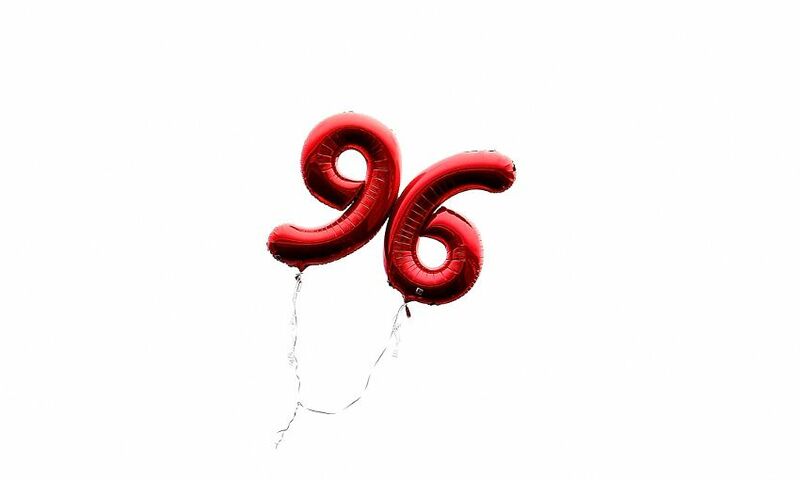 The parents of 18-year-old James Aspinall waited at a bus station in Liverpool until the last bus from Hillsborough had returned, the inquests into the 96 deaths heard. The court heard evidence about the Huyton teenager, whose mum Margaret is chairman of the Hillsborough Family Support Group. James, who worked as a shipping clerk, had gone to the match on April 15, 1989, with friend Graham Wright, 17, who also died in the disaster. His dad Jimmy had also been at the semi-final but had travelled separately and had been in the north-west terrace when the crush happened. The court heard when the match was stopped he left the ground, went back to his car and drove to a phone box to ring his wife. Christina Lambert QC, counsel to the inquests, said: “Margaret, his wife, told him that the bus company that James had travelled with had told her that all members of their party were on board the buses. “However, Jimmy Aspinall was still worried and decided to check at the hospital whilst in Sheffield. “Upon his arrival at the Sheffield hospitals, a list of names of casualties was checked and James’s name was not on the list. “At this point Jimmy Aspinall and his relative decided to drive back to Liverpool thinking and hoping that James may be on the bus. “On their arrival home they went to the bus station with James’s mother Margaret and waited for all the buses to arrive. Mr Aspinall returned to Sheffield with James’s brother David and later went to the gymnasium where he identified James at 3.45am on Sunday, April 16. In evidence which was read to the court, Mrs Aspinall said: “Throughout the time that my husband Jimmy searched for James in Sheffield, I was still at home waiting for news. The court heard James and Graham had been in pen three of the Leppings Lane terrace before the match kicked off at 3pm. Photos and footage from between 2.38pm and 2.56pm showed him on the terrace. A clip from 2.40pm showed him among supporters as an inflatable ball was thrown around. He was also shown punching the air as the team names were read out. The jury was then shown footage from 3.26pm, which showed him lying on the pitch. Police officer Leslie Parkin was shown crouching next to James and Ernest Gillatt, a St John Ambulance volunteer, was shown approaching him. In a statement Mr Gillatt said he had no specific memory of dealing with James. The court heard from Robert Fox, a PC who put his tunic over James’s face as he lay on the pitch. He told the court he would have checked James for a pulse and breathing. But the jury heard footage showed that he would have been with James for a period of just over a minute at most. Footage showed James was then left on his own on the pitch, with Mr Fox’s tunic covering his face. As the footage was played, Ms Lambert said: “James remains unattended on the pitch. A fan has just stepped over him and stepped back over him. “A police officer has just stepped over him. A clip from 3.31pm showed James being carried across the pitch on a hoarding. Fan David Jowett, who was 16 at the time of the disaster, said he had helped to carry the hoarding to the gymnasium at the ground. He said James was covered with a coat but when he glanced at him he could see part of his face, which he thought looked purple. The court heard James was taken into the gymnasium and confirmed dead by a doctor at 3.54pm. 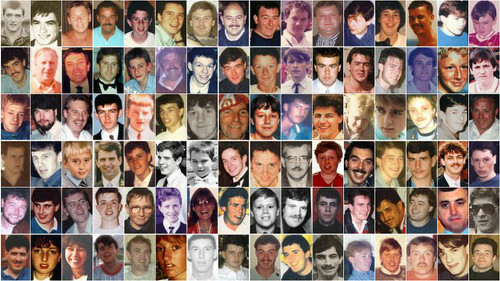 A police officer made a provisional identification of a Hillsborough victim after searching him - but did not contact his family, the inquests heard. The court, in Birchwood Park, Warrington, heard evidence about Steven Fox, 21, from Birkenhead, who had travelled to the game with a group including Raymond Chapman, 50, who also died. The jury was told photos showed Steven in pen three up until 3.05pm, but there was no evidence about how he was carried out of the terraces. Anthony Shelton, who was a detective constable in 1989, said he was asked to take responsibility of a body, later identified as Steven, laid out at the rear of the West Stand. The court heard he searched Steven and provisionally identified him after finding a membership card with his name and picture on. But, he said it was not his role to contact the family after finding that, but he would have relayed the information to someone. He said he was present when Professor John Ashton confirmed Steven as dead at 3.27pm. He remained with him as he was transferred to the gymnasium. The court heard John Pleavin, a friend who travelled to the match with Steven, identified him from a photo in the gymnasium at 11.15pm and then identified his body. Steven’s mum, Brenda, went to Sheffield’s Medico Legal Centre, where Steven was transferred, at 10am the following day. She formally identified her son at 8.30pm that day.